The U.S. technology sector has been red-hot for investors, with the S&P 500 Technology Index surging 38.7% over the past year. One that may soon take the mantle of technology leadership from Silicon Valley. You need not look further than the economic behemoth that is the world’s second-largest economy – China. Over the past 12 months, the iShares China Large-Cap ETF (NYSE: FXI) – the largest Chinese ETF – has soared 46.6%. That makes the Chinese stock market the fourth-best-performing stock market in the world among the 47 global stock markets I track on a daily basis. As it turns out, the tech sector has driven much of the Chinese stock market’s significant gains, with the information technology iShares MSCI China ETF (Nasdaq: MCHI) rocketing 60%. And within the tech sector, Chinese internet stocks are leading the charge. The potential of the Chinese internet market borders on breathtaking. Together, these make the Chinese internet sector one of my favorite “big picture” investment themes. With 721 million users, China is already home to the largest number of internet users in the world. That’s 2.5 times the 287 million internet users in the U.S.
And while the U.S. penetration rate is 88.5%, China’s is only 52.2%. My back-of-the-envelope calculation shows that if China ever reaches U.S. levels of penetration, it will have more than 1.2 billion internet users. China already became the world’s largest e-commerce market back in 2013. By 2016, Chinese e-commerce sales reached $749 billion – an increase of 26.2% year over year. The size of China’s e-commerce market today equals those of North America and Western Europe combined. The internet is a global phenomenon. Google and Facebook are among the most popular websites in the world, whether you live in Baton Rouge, Brussels or Buenos Aires. That’s because the internet as we know it does not extend into China. 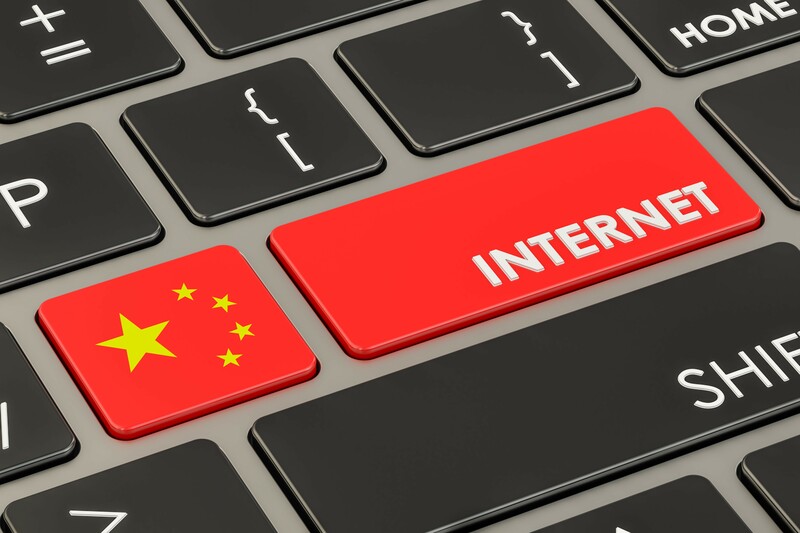 Chinese internet users do not have access to Google or Facebook or Amazon… or about 3,000 other websites. You see, China’s internet operates in a parallel universe. The Chinese internet has homegrown versions of all the U.S. internet giants: Google (Baidu), Twitter (Sina Weibo), YouTube (Youku Tudou), eBay (Taobao) and Facebook (Renren). Not that the U.S. giants haven’t tried to seize on China’s astonishing potential. It took months for Google to realize that many Chinese couldn’t pronounce its name. Groupon shut its offices within months of its launch after discovering it was up against 200 clones. And Uber sold its China operations to its Chinese rival Didi Chuxing, unable to sustain subsidies for its service. U.S. internet giants failed in the Chinese market because the Chinese government didn’t let them succeed. Bans on popular platforms such as Twitter, Facebook and Google ensured that Chinese firms never had to face foreign competition. The fact that Google, Facebook and Amazon can’t make money in China doesn’t mean you can’t profit from China’s internet boom. The KraneShares CSI China ETF (Nasdaq: KWEB) invests in publicly traded Chinese companies that provide services similar to Google, Facebook, Twitter, eBay, Amazon and Netflix. Holding 33 stocks, the CSI China ETF provides diversified exposure to the Chinese e-commerce sector. That’s good news because an index fund helps smooth out the often stomach-churning ride offered by individual Chinese internet stocks. As sure as day follows night, the internet will continue to grow in China. And despite its strong recent gains, China’s internet boom has plenty of room to run.